But no, it does not end there. We are talking about Lakewood’s First Responders, oh no it does not end there. Friday morning, 3.29.2019, a mere 1 month and 20 days after the amazing story and official meeting the next chapter was ready. 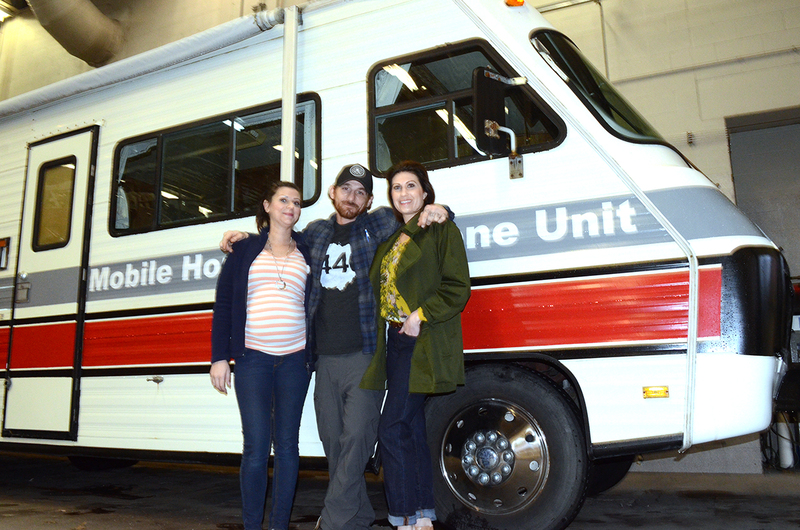 The firefighters of Lakewood Fire House Station One presented a completely rebuilt and cleaned up RV to Homeless Hook Up, their founder Dean Roff, the Executive Director Kristina Forward, and Brittnay Brown, Vice President. To say they were overwhelmed would be an understatement. 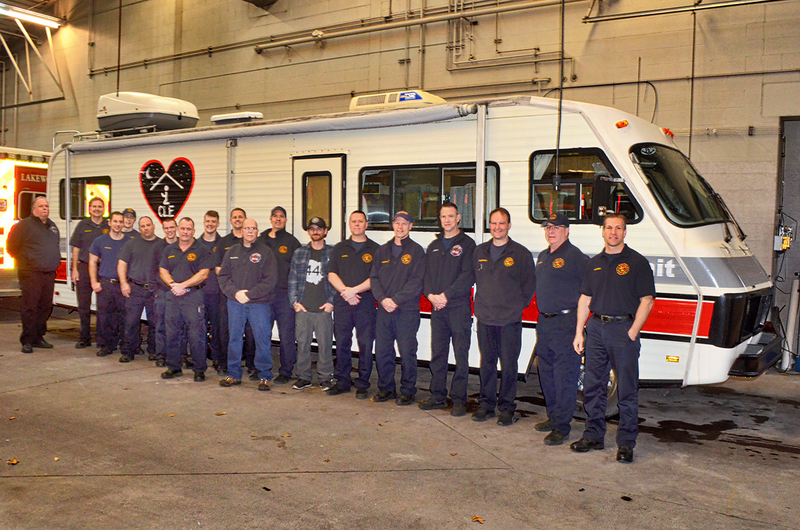 Lakewood Firefighters with Dean Roff in front of the new Homeless Hookup Mobile Hygiene Unit! 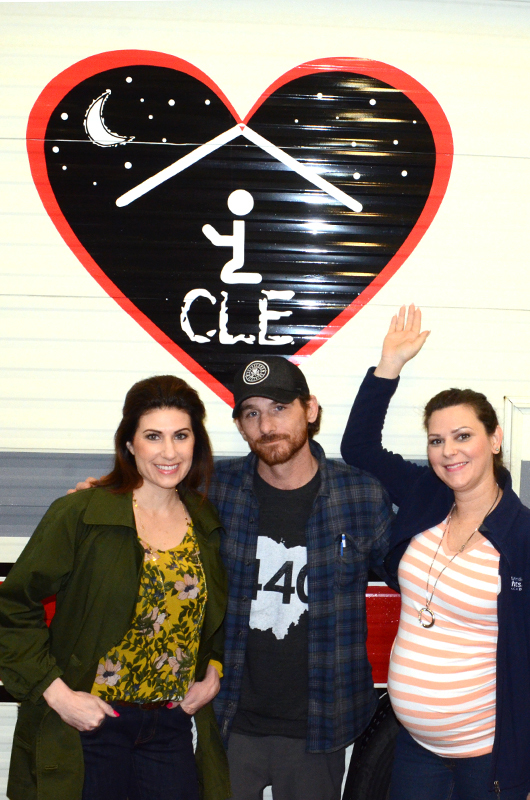 Left to right: Kristina Forward, director of Homeless Hookup CLE, Dean Roff, founder, and Brittnay Brown, Vice President. They are always looking for the following items: Soap (travel Size), Shampoo, Washcloths, Toothbrushes, Toothpaste, Mouthwash, Dental picks, Shaving Kits, Lotion, Q-Tips, Hand warmers, Hats, Gloves, Emergency Blankets, Socks, Suntan lotion and any and all of the little things we all take for granted that you can part with. Of course they can always use $$$$$ and more volunteers!